While many working moms might be accustomed to receiving afternoon text messages from their children about homework or a planned sleepover, when Gloria Jimenez hears her cellphone ping, it’s more often a reminder from her 10-year-old son, Eduardo, to pick up some avocados or tomatoes at the grocery on her way home. 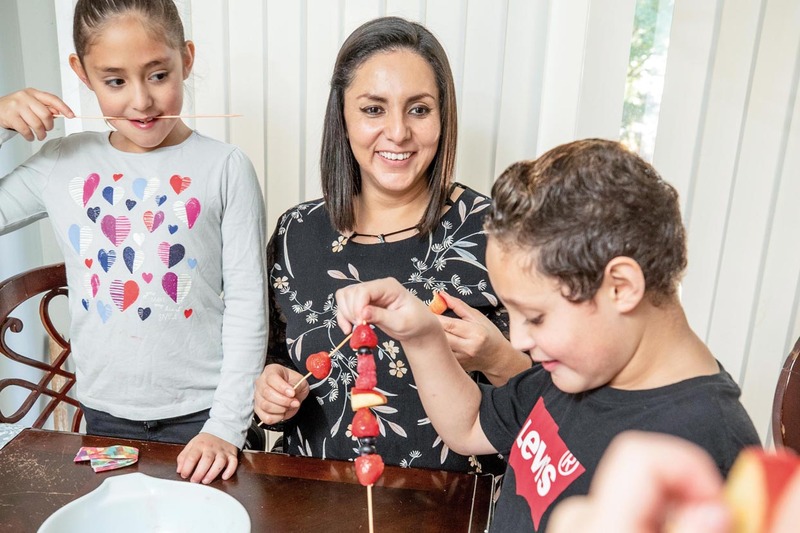 While Eduardo is hypervigilant about the family’s diet, his younger sisters, Sophia, 8, and Andrea, 6, are just as likely to pipe up with advice about making smarter food choices. Jimenez said she and her children have benefited tremendously from programming offered through the Nashville Collaborative, a unique academic-community partnership between Monroe Carell Jr. Children’s Hospital at Vanderbilt, the Division of Academic General Pediatrics, and the Nashville Metropolitan Board of Parks and Recreation. The Nashville Collaborative’s mission is to develop and test innovative, potentially sustainable, evidence-based, family-centered, community-based programs that measurably improve child and family health, prevent chronic disease and reduce health disparities. There have been more than 40 journal articles based on the Collaborative’s work, including in the Journal of the American Medical Association (JAMA), Pediatrics, and the Journal of Obesity, and team members have presented at international and national meetings, earning awards from the International Child Health Congress and the Tennessee Chapter of the American Academy of Pediatrics. Jimenez and her children have been participants in the Nashville Collaborative through its largest project to date — GROW (Growing Right Onto Wellness). GROW began as an eight-year trial, which included more than 600 families with preschool-age children and received funding from the National Institutes of Health’s National Heart, Blood and Lung Institute and the Eunice Kennedy Shriver National Institute of Child Health and Human Development. For the participating families, GROW meant building skills to better use local community recreation centers and public libraries, learning about better nutrition and increasing their physical activity, and connecting with other families with young children in their neighborhoods to support behaviors that strengthen family health. The underlying goal was better overall health for both parents and children. By focusing on family-centered projects that actively involve both parents and children, the Nashville Collaborative hopes to encourage different generations to learn from each other and to drive positive change that will have a ripple effect through the family and the community, especially when it comes to fighting obesity and chronic disease. Their family’s behavior now at the dinner table is proof that just that type of transformation can happen, Jimenez said. The results of the GROW study were published in JAMA in August 2018. While the three-year intervention improved nutrition behavior (so that intervention families were consuming about 100 calories fewer than the control families and sustaining that improvement over three years) and increased the use of the community recreation center for family physical activity, it did not result in a difference in child body mass index. The Collaborative continues to build programs and projects, drawing from the successes of GROW. The Nashville Collaborative is Barkin’s brainchild. When she was recruited to join Children’s Hospital 12 years ago, she planned to replicate a community-based partnership she’d been successful with while a faculty member at Wake Forest University School of Medicine. There, she partnered with the YWCA and secured funding from the Doris Duke Charitable Foundation to support the development of communities centered around family-based recreation and health programs that brought measurable change. Before relocating to Nashville, Barkin witnessed the opening of a new 90,000-square-foot YWCA sports and wellness center in the heart of Winston-Salem, North Carolina, an improvement that was a direct result of that partnership. The Nashville Collaborative is the brainchild of Shari Barkin, MD, MSHS. For her work and contributions to pediatrics, Barkin was named the 2018 Pediatrician of the Year by the Tennessee Chapter of the American Academy of Pediatrics. Photo by Lauren Holland. While seeking a partner with a similar objective, Barkin heard about then Nashville Mayor Bill Purcell’s goal of doubling the number of community centers in the Metro area, with a focus on offering family-based health and recreation programs that were easily accessible to the metropolitan area’s growing population. And the Nashville Collaborative was born. “The core foundation of the Nashville Collaborative is to measurably improve family health in the communities in which we live,” Barkin said. “We don’t look at this as one child at a time. We look at it as families living in communities. That means we strive for two-generation solutions. We want to improve both the health of the parent and the child. If you do that right, you can amplify health throughout the family. More than a dozen organizations are now part of the Collaborative’s programs, including Nashville Public Library Foundation, the Governor’s Foundation for Health and Wellness (Healthier Tennessee) and Second Harvest Food Bank. Organizations represented on the Community Advisory Board include Metro Nashville Public Schools, Head Start, Conexión Américas, YMCA, United Way, the office of Mayor David Briley and the Tennessee Department of Health, among others. The group’s first project was a study named Salud con la Familia, or Health with the Family, that was supported with funding from the State of Tennessee’s Project Diabetes and the Vanderbilt Institute for Clinical and Translational Research. Based at Coleman Community Center on Nolensville Road, the study showed that overweight/obese Latino preschoolers who participated in a 12-week skills-building program were twice as likely to achieve a normal body mass index compared to a control group over a three-month period. In 2018, the Nashville Collaborative launched its 11th project, Teaching Kitchen Outreach (TKO), an expansion of an educational program piloted in four Metro Parks and Recreation community centers. Centered around 20-minute, hands-on healthy cooking skills building for children participating in after-school programs, TKO will now be offered in more than 20 of Metro Parks’ community centers based in urban population centers throughout Davidson County. During the short cooking lesson, school-aged children are guided by Metro Parks staff through the preparation of a dietitian-tested and approved snack or a meal that can be easily completed in less than 30 minutes, that has less than 10 grams of sugar, more than five grams of fiber per serving and costs between $1 and $3 per serving. The staff instruct the students on how to complete every step, from safely chopping up ingredients to properly using a stovetop or oven. TKO is the direct result of the generosity of an anonymous donor who wanted to support a Children’s Hospital program that had the potential to directly impact childhood obesity, particularly among children in minority populations. Most preschool-age children manage to get enough recommended daily physical activity, but how they move varies with noticeable differences between boys and girls. The Nashville Collaborative has recommended that this should direct practice and policy for preschool-age children. Recently, Metro Parks employees who lead TKO during the after-school programs met for booster training as the program was being rolled out to all the community centers, and Program Manager Juan Escarfuller, MDiv, MA, one of Barkin’s first hires to implement Nashville Collaborative initiatives, spelled out the need for the program’s expansion. Jai McCrary, a Metro Parks staff member at the Southeast Regional Community Center in Antioch, Tennessee, started teaching the TKO program to her after-school crowd in April, and the biggest hit has been assembling healthy zucchini pizza boats with marinara sauce. Leslie Martinez-Garcia, an employee at Coleman Community Center where the teaching kitchen concept was piloted, said the children in her program are always excited for kitchen time. Barkin said she’s thrilled to watch TKO take off in the Metro Parks community centers, but she’s also eager to scale the Nashville Collaborative’s work throughout the state and even throughout the nation so the benefit can reach more families. 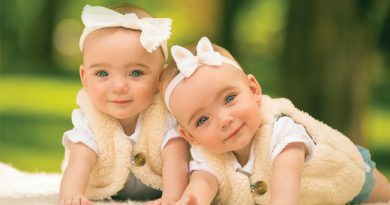 We depend on your generosity to support lifesaving research and vital programs for patients and parents.